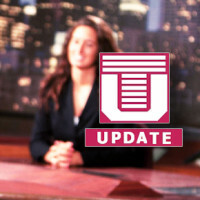 Kaicey Baylor and Jane Vitelli are back at the News Desk for this week’s edition of Temple Update. Spencer Tracy is live on Broad Street with an update on Uber safety. Melissa Young and Celena Sanchez are on campus with the latest on the warm weather coming our way. Cierra Cubero spoke with community members about a new initiative coming to off-campus neighborhoods. Max Bass spoke to Londoners about the growing tensions ahead of tomorrow’s Brexit deadline. Adam Miller is on the Sports Desk with the latest on Temple athletics. Lianna Golden is in Oviedo to take us inside a local favorite tradition.